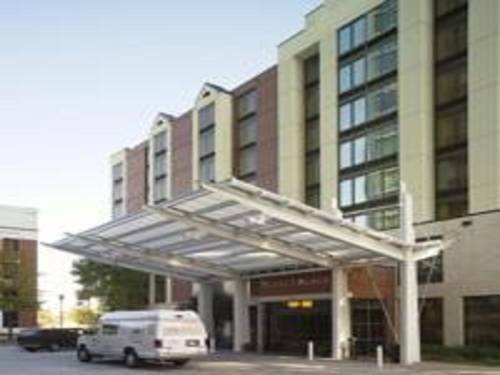 A 171 room hotel located in the heart of Buckhead, Atlantas most prestigious and trendy financial and entertainment district. Each room is accompanied with mini refrigerator, iron and board, coffeemaker and full sofa sleeper. Complimentary parking, free wifi, free local calls, personal voice mail, free USA today, fitness center, free faxing, copying, and outdoor heated pool. PET POLICY: 1-6 NIGHTS A 75 NON-REFUNDABLE FEE. 7-30 NIGHTS A 75 NON-REFUNDABLE FEE PLUS AN ADDITIONAL 100 CLEANING FEE-INCLUSIVE OF TAXES. MAXIMUM OF 2 DOGS PER ROOM ARE PERMITTED. WEIGHT MUST BE 50 LBS OR LESS MAX OF 75LBS PER RM FOR 2 PETS. FEES ARE IN USD. Located in the heart of Buckhead at the intersection of Peidmont and Peachtree Roads. Both in the financial district as well as the nightlife area. Shopping at both Phipps Plaza and Lenox Square Mall is just a short walk or shuttle ride away. Cancel by 4pm Hotel Time 24 Hours Prior to Arrival. Micro-brewery next door to hotel. Has a private room for dining. Pool tables and darts in the back of room. Broadway Plays and shows are performed at the Famous Fox Theatre. World class family entertainment venue. Upscale shopping and dining with some of the top retailers.